They say that writing is a calling: I felt that calling as a young teen, but only in secret. Even at such a young age I was only too aware that my writing would not be taken seriously. It would not be encouraged and I would certainly be told to spend my time more wisely. It seems that in the Muslim community, fiction is seen as mere entertainment, a frivolous pastime. More than a decade later, having studied literature for many years and understanding the true worth of stories, I am still painfully aware that my writing will not be taken seriously in our community. 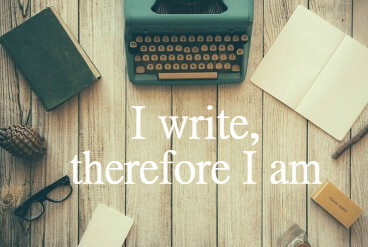 It leads me to often question the purpose of my writing and what it does to benefit my faith. Jill Jepson’s book, Writing As A Sacred Path, serves as a wonderful reminder that writing, with the right intention, can be intrinsically connected to faith and can even serve as a form of sadaqah. “Storytellers are custodians of human history,” Jepson reminds us, they are “the recorders of the human experience, the voice of the human soul”. Stories define what it is to be human; they enlighten us and guide us. In this way, writing can be a spiritual act, a form of charity and prayer. Writing can help nourish our spiritual lives, inspire us to think openly, and can be a wonderful gift of gratitude to the rest of the world. Sacred Path is an essential guide for Muslim writers as it not only reminds us of why we should be writing, but it also offers excellent writing advice. The book is structured in four parts, each section highlighting different spiritual journeys from which we can learn to hone our own skills. Admittedly, I wouldn’t recommend Jepson’s advice in its entirety, but there is definitely more useful advice than not. The Mystic Life, the first section, includes some questionable ritualistic exercises, but it also imparts some interesting ideas about altering your writing perspective, such as letting inanimate objects speak, visualising scenes and crafting analogies. I would never have thought to write like this but I can see that it would help your creativity to flow more openly. The Monastic Path is a useful section that discusses the importance of solitude in allowing your creative energy to rise, to connect with your inner self to find your authenticity as a writer. Jepson also encourages the appreciation of community, from where our inspiration arises and to where we bestow our stories, our gifts of gratitude. The third part, The Way of the Shaman, encourages us to use writing to face our inner demons. A few of the exercises seem creepily like exorcisms (!) but I very much agree that overcoming fears is integral to writing. The beautiful part of this section is where Jepson explains how we can develop a relationship with the natural world through observation. As writers, we must see the Earth as a beautiful gift from the Divine which we must appreciate and care for. Overall, Sacred Path is an excellent book for both well established and would-be Muslim writers, offering both spiritual and practical advice. It is a reminder to us that if we have been blessed with the gift of writing then we are “entrusted with sacred work” and it becomes our duty to write. As Muslim women, especially, we must write to reclaim our voices that are so often supressed from both within and outside our communities. We must let the world know that we too can write – we have our own voices, our own minds, our own dreams.